If passenger safety is a top priority, the V50's side-impact airbags, side-curtain airbags and Whiplash Protection Seating System should hold strong appeal. In addition to the cargo-hauling capabilities of a wagon and appealing gas-mileage estimates, Volvo promises a healthy dose of performance with the turbocharged T5. Volvo cars are known for their safety, I feel very secure driving it daily. I really like my car, as old as it is. It gives me good mileage and has proven to be very reliable. I enjoy driving it and like the features it came with, it is not too fancy but does have the features that I like in a car. My only complaint is that it is a little expensive to maintain, but I suppose that is what keeps it running so well. Volvo has always been known for quality and this car is quality. My Volvo is great. Very comfortable and rides really nice! I love the sunroof and compass in the rear view mirror. I love the heated seats. And It's very roomy. It is safe and reliable. All Volvos are safe and they have side impact protection. I love Volvos. I love my V50. It was not expensive to purchase or maintain. It is sporty and nice to look at. 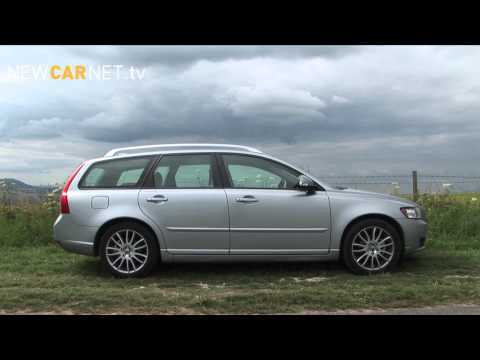 Volvo V50 Estate review - What Car?